When you need to lose some belly fat or simply want to tone your abs, get in shape for that amazing beach body we all crave, nowadays you have many options at hand. The first and most obvious one would be to start a diet plan and a workout plan, and your best bet would be to start talking to a qualified instructor. However, this takes a lot of money. And going to the gym can be a little uncomfortable for some of us that have insecurities about our bodies. For those people that do not have the time nor the money to afford a personal coach or a subscription to the gym, ab-training machines are some of their best bet. Nowadays, you can find in almost any price range that still delivers decent results. Some of them use electrical stimulation, some of them use some sort of motion. The result is that they targets a specific group of muscles that train your abdomen into shape. You can do your training at your own pace, in the comfort of your home. The internet is full of ab machines that work in different ways and in the quest of finding the best ab machine, one must weigh all cost and benefits. Before starting your quest for best ab machines, here are the main this you should consider. When buying an Ab machine, you are in control of your workouts. You decide how to do your exercises, if you want to be more involved or more passive. You decide how much time you invest in your transformation and when is the right time of day to do that. You decide where to do the workouts and where will the machine rest. You even get to decide how the equipment will look like: how big, what color, if it should fold, if you want to be able to take it in your travels. Furthermore, it is more convenient to invest in some workout equipment than to pay a gym membership that you won’t use at full power. An ab machine is an investment after all. After you use it and get your desired results, you can still use it to keep in shape, or you can give it to your friends or you can even sell it. Nowadays there are many technologies available when looking for the perfect workout equipment. Some of them have electrical stimulation, while others involve a particular motion that target specific muscle groups. Some involve less movement, while others more. When considering the technology factor, you have to keep in mind that those that involve electrical stimulation or massage need batteries or you will have to charge them from time to time. They are actually more comfortable because you can relax and still get a good workout. The type of equipment that involves movement from your part is more challenging but you will have a sense of achievement when going from an easier level to another. It also involves you know how to do some exercises safely. If you want faster results, I would consider going for the movement group, because it is also a cardio exercise and you will burn fat easier this way. An ab-training machine has to be easy to install. When you buy a workout machine, you are the one that does the installing and the machine has to have few components that fit into each other with ease. The installation process has to resemble an easy puzzle so you can start using the machine as quickly as possible. You also have to keep in mind that the more functions it has, the harder it is to install. If you don’t want any fuss when doing the installation, you should get a machine that you would just get out of the box and start using right away. Another key factor that sets best ab machines apart from all of the other sporting equipment out there is the relative ease of use. The equipment has to be almost a no brainer to use. If you are using a too complicated machine, chances are you are not going to use it as much as you needed. The size of the equipment dictates how much space will take out of your living room. A larger equipment sometimes involves that you can go to a pro level. However, this is not the case for the best abs machines. Some of them are actually so versatile that by changing a setting you can train even on a pro level. So keep in mind that bigger is not better in this case! When buying a sporting equipment, whatever their use is, you want to invest as less as possible, while still getting as much quality as possible. While it is true that you get your money’s worth, you should still consider spending less when buying a machine you haven’t tried yet. Chances are you won’t like it and you have spent all that money for nothing. Versatility is a key factor some of the best machines for abs have. 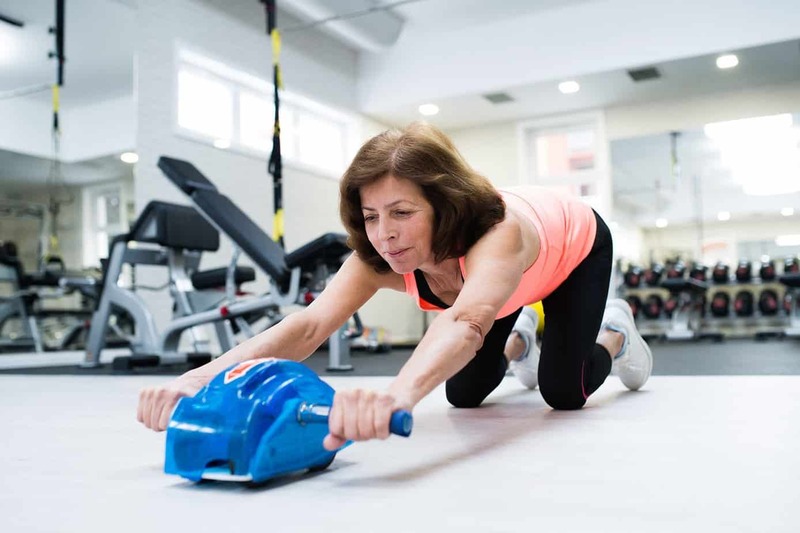 Versatility means that said machine can enable you to work on different groups of muscles, in multiple ways (either movement or another type of stimulation). It is well known that when working out, you have to keep a routine while also surprising your body from time to time. This will provide you with new levels of training and your muscles will grow faster. So, when you look for best cardio machines for abs, look for more functions, the ability to move from a lower setting to a higher one, or if you can use the device in more than one way. If you are like me, when doing the floor exercises for abdominals, you might have some strain in the lower back or in the back of the neck, indicating that you might not be doing the exercises correctly. Ab Circle Pro gets you on your knees, in a comfortable position for your back while still challenging your abdominals to the full. Another reason I love this product is it is fun to use. The movements you engage in resemble some form of Latino dance and make you feel quite flexible. When using it, you simply position your knees on the cushions and start rolling. When sliding from side to side, you are using a semicircular motion that engages all your core muscles and especially your external obliques and burns your belly fat like crazy. Ab Circle Pro has two plastic handles that are comfortable for your hands. Comfort is key in this device, since it also has two cushions for your knees, to absorb the weight while you roll back and forth around the metallic drum. The device sits solidly on the ground, on four metallic feet with anti-adherent knobs at the end. Although it is a medium size machine, it can fold into a shape that can easily be stored into the tiniest spaces, like under the bed. Folding and unfolding is also easy. The Ab Circle Pro provides three levels of training: easy, intermediate and pro, and switching from one to another is easy. The product has another surprise in store: by simply releasing a pin, you can switch from an abdominal exercise to an exercise that can challenge your glutes and your thighs. You will have to assemble it every time you use it, but installing it is easy and the device is ready in a few minutes. I would give these machine 5 stars out of 5 for their innovative idea of a workout. Versatile, you can also work on your thighs and glutes! This device provides a spherical wheel with padded handles that assist you when doing crunches. This device helps you engage more muscles while you roll on the floor to a horizontal position and assists you in rolling back up. The design is simple and professional looking. The wheel is wide so that it provides extra stability. The wheel and the kneepads weigh around four pounds together, so travelling with them will not be as easy. However, the device is ready to use as soon as you get it out of the box. You position your knees on the pads, grab the handles and roll until you get to the horizontal position. While rolling back up you will have an extra support from the spring mechanism. You can do as many reps as you can. The machine comes with an instruction manual that suggests you can adjust the workout level by adjusting the angle. The horizontal position is for experts only. This device is perfect for some people that already have some fitness level and want to improve, but is also appropriate for beginners. The movements engage your arms and shoulders and your back muscles. The wheel can also rotate left and right so that you can have different angles of stimulation. The Perfect Fitness Ab Carver Pro Roller deserves 4 stars out of 5 for taking a simple exercise to the next level, but also for its greater weight, making it harder to transport. This equipment works by stimulating the muscles with a soft electrical current. It comes in two different types: six pads or eight pads. Eight pads guarantee a wider area of stimulation, thus more muscles involved. Brinymo Sport Muscle Toner weighs only nine ounces so it is very easy to carry on your travels. It can even fit in your day-to-day bag. You can charge this device by plugging it into your computer, since it is USB- chargeable. The machine can be used up to 30 minutes until you need to charge it again. Another great feature of this machine is its versatility. You can use the pads to cover the muscles on your feet and hands, not only your abs. You can also target multiple areas at a time. The machine provides six modes of exercising. The device is easy to use, since the only thing you have to do is to attach it to the area you wish to train and switch to the desired workout mode. It is also quiet and discreet and you can use it at the office, without breaking a sweat. This machine deserves 4 out of 5 stars for its versatility and transportability. It still needs to improve on the battery life. This ab-training machine works by assisting you while doing your crunches. It features a simple design, with a metallic rod, with foam pad for the neck and soft handles. The machine sits on the ground and provides neck support while you push through your crunches. The steel rod is sturdy and safe and provides stability during exercises. The Cap Barbell Ab Trainer is made of several component parts but they are easy to assemble. If you don’t have too much space in your home, you should know that you can disassemble the machine and store it like that. Although there are more machines that work on the same principle as this one out there, the cushion and the steel rod provide a good quality product for an affordable price. Since it is easy to use, affordable and provides neck support, but leaves your back unsupported, I would give this machine 3 out of 5 stars. The machine features a smart design, which enables you to fold the product and safely store it under the bed or in small, tight spaces. The machine has a soft cushion for extra support for the back, and two bars with soft rolls on them. The combination between these two makes a machine that enables you to go deeper in your crunches. Even though it is a small machine, its smart engineering enables you to customize your workout. You can choose between eight types of exercises and three intensity levels. Maybe one of the main features of this machine is the fact that it provides support both for your back and your hands, preventing the usual strains in the back. In conclusion, when searching for the best ab machine, you should look for versatility and in a technology that works for you. In my opinion, because it makes an ab workout seem fun and easy, and by doing some small adjustments you can increase the intensity of the exercise, I would consider the Ab Circle Pro a great ab machine. It can help you shed the fat over the abdominal muscles as well as the fat over the thighs and glutes. Another great feature is that as many times as you want in a day. Even though you would not consider this machine transportable, it does win points for the ability to take a beginner in a workout to an advanced level in a fun way. I would definitely give this machine five stars out of five. If you also want to workout on your lower or upper body we got some more great reviews such as vertical climbers review and best home elliptical. 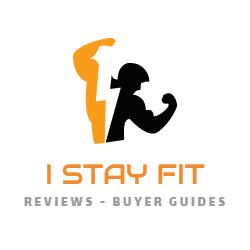 Copyright © 2018 IStayFit.org, All Rights Reserved. This site is a participant in the Amazon Services LLC Associates Program, an affiliate advertising program designed to provide a means for sites to earn advertising fees by advertising and linking to Amazon.com.